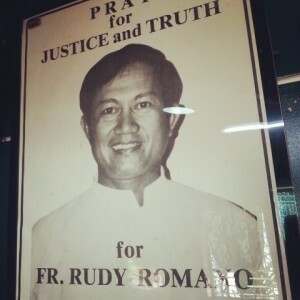 Fr Rudy Romano was a Filipino Redemptorist priest associated with the Irish province. He was committed to the work of social justice and joined the popular movement for political and economic change. On 11 July 1985 he disappeared and has not been seen since, presumed murdered by a pro-Marcos death squad. Amongst the campaigns Mullan spearheaded in AFrI was the sending of 1000 postcards to the head of the Filipino military who later complained about them to the head of the Redemptorist Fathers in the Philippines, and asked that the people of Ireland stop sending them. That news was a confirmation that we were on the right track and we intensified our efforts. 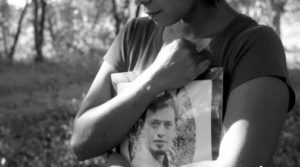 State’s denials about his whereabouts. The documentary was featured on RTE’s main television news on the night it was publicly screened at Trinity College, Dublin, on 26 April 1987, the same day Mullan’s first child, Thérèse, was born. 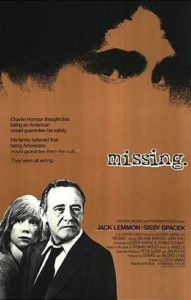 To help highlight the campaign, Mullan and his AFrI colleagues organized a special screening of the 1982 Costa Gavras movie ‘Missing’, about the disappearance and murder of Harvard graduate, Charles Horman, following the US-backed overthrow of the Chilean President, Salvador Allende in 1973. Charles’ young widow, Joyce (played by Sissy Spacek), and his father and mother, Ed (played by Jack Lemmon) and Elizabeth, came for the screening at the Savoy Cinema, Dublin, and stayed with the Mullan family in their modest home in Clondalkin, Dublin. 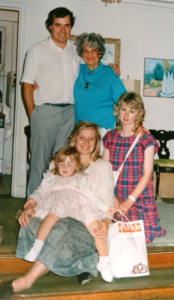 The Mullan family on a visit to the home of Elizabeth and Joyce Horman, Manhattan, NY, in 1988. 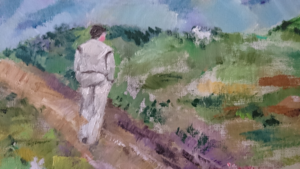 Elizabeth Horman, a distinguished New York artist, returned to her home in Manhattan where she completed two paintings reflecting on her visit to Ireland. One, of children playing on a swing at a tree close to Mullan’s home; and the other portraying a young Don Mullan in a field, seeking a lost sheep. She told Mullan that it was how she thought of him. Following the death of Ed Horman in 1991, Elizabeth presented the painting of the children to Don on a visit to New York later that year. She told him that it was Ed’s favorite painting and it hung on the wall of his nursing home room until he died. Elizabeth Horman passed away on May 10, 2001, aged 96. 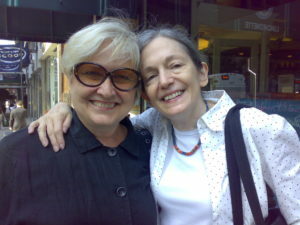 The Mullan family and Joyce Horman remain good friends.